Lying at the park’s most northern, and accessible end, Milford boasts some of the most stunning coastal scenery on Earth. Described by Rudyard Kipling as the “eighth wonder of the world,” the dramatic, sheer-sided cliffs of the fiord soar vertically from the deep blue waters, while a nearly endless number of waterfalls plunge down mountains with peaks that scrape the sky. Milford hosts two permanent waterfalls, Bowen Falls and Stirling Falls, and when it rains, there are dozens of temporary waterfalls that can be seen cascading down the steep cliff faces, and into the water below. Doubtful Sound is defined by silence and serenity – so much so that it’s sometimes referred to as the “Sound of Silence.” Rich in flora and fauna, the only sounds you’re likely to hear are the songs of the birds, the cascading waterfalls, and perhaps the shuffle of the Fiordland crested penguin or the bark of a New Zealand fur seal. The picturesque town of Te Anau is an ideal place to base yourself for exploring this breathtaking “fiordland,” set along the tranquil waters of Lake Te Anau, the South Island’s largest lake, which boasts an awe-inspiring backdrop of Mount Luxmore and the Murchison Mountains. Considered the “Gateway to Fjordland,” Te Anau is the closest town to Milford Sound, a two-and-a-half-hour drive away. It’s the best place to access many of the park’s attractions, which can be reached by road through Te Anau by plane, boat or walking. There are also multiple commercial outfitters that offer transport for visitors. Te Anau can be reached via a scenic two-hour drive from Queenstown, where you’ll travel through wide valleys and take in gorgeous mountain views, with a number of villages along the way offering the perfect stop for a quick bite. 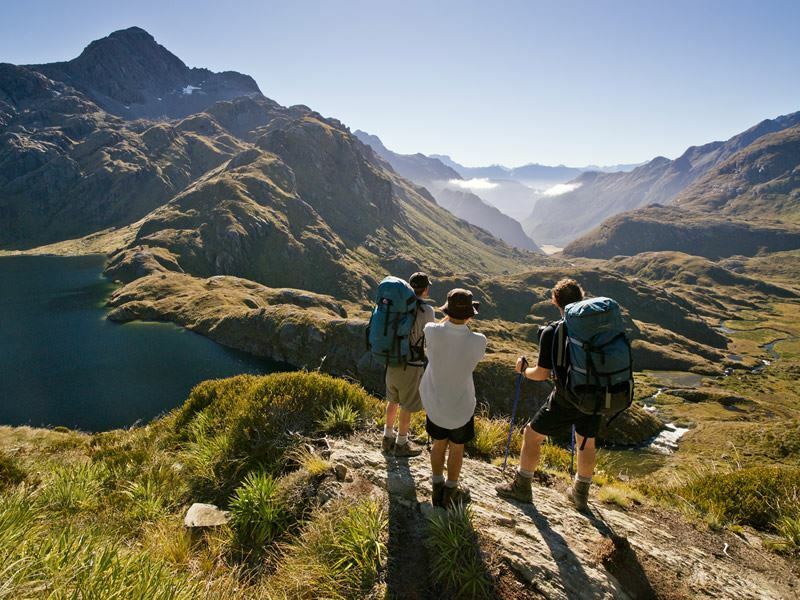 A wide array of activities can be enjoyed in Fiordland National Park, offering the chance to discover its many hidden gems and every aspect of this unique environment. The park may be best known for its outstanding network of walking tracks that’s earned its reputation as the “Walking Capital of the World,” but there are numerous other outdoor adventures available as well, allowing you to truly soak up the incredible rainforest, mountain and lake vistas. Not surprisingly, in this “Walking Capital of the World,” you’ll have a wealth of treks to choose from, including lots of easy, short hikes for getting out an exploring all this spectacular region has to offer. The Kepler Track is considered one of the country’s Premier Great Walks, and while walking the full length, which stretches for some 40 miles, taking at least three days to complete, sections can be experienced with shorter day hikes. The Brod Bay to Te Aunau route is ideal and can be accomplished within three to four hours. You’ll catch a ride with a local water taxi across Lake Te Anau to Brod Bay, and then enjoy an easy stroll alongside the lake that will take you back to Te Anua, passing through the Te Anau Wildlife Centre which houses native birds that are endangered rare, injured or in need of special care, like the native parrot Kaka or the rare Takahe. There are a number of options from the Control Gates, which regulate water flows, accessed just five minutes from Te Anau. This marks the start of the Kepler Track, but you can enjoy a wonderful one-hour up and back trek to Dock Bay, where you can hear the songs of the birds and enjoy views of the lake. A two-and-a-half-hour hike will take you to Rainbow Beach, following the terraces of the Waiau River through red and mountain beech forest, crossing the swing bridge over the river to get to Rainbow Reach. From Rainbow Reach, a three-hour round trip journey will take you on a gently undulating path that winds through mountain beech forest with some fabulous river views, and some of the spots where the Lord of the Rings movies were filmed. 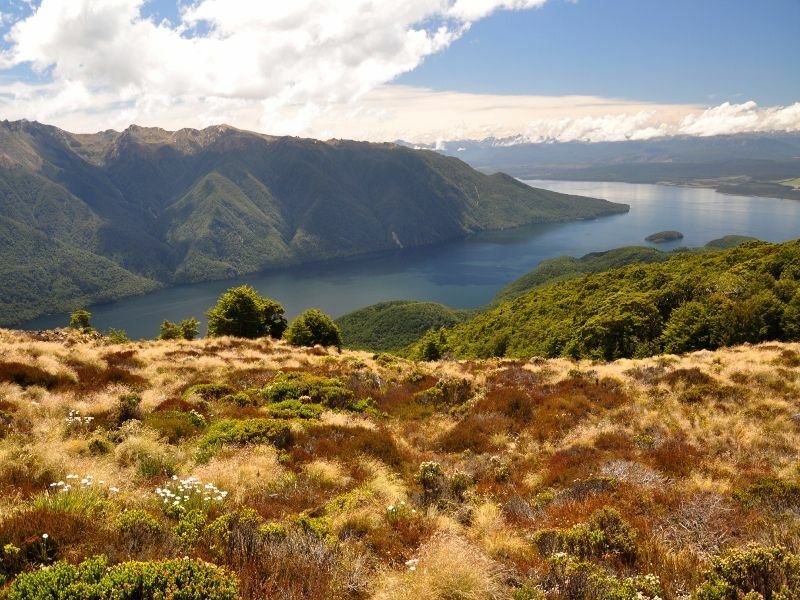 Just 20 minutes from Te Anau, the town of Manapouri, set along the shores of glistening Lake Manapouri at the mouth of the Waiau River, also offers a good range of short walks where you can explore the lakeshore and forest scenery. One of the best sunsets in the park can be enjoyed at Fraser Beach, where the views are particularly majestic this time of day. The Frasers Beach walk is a 30-minute trek on the sand, or the track that runs parallel to the each, starting and finishing just north of town at the road entrance. Another great way to experience the park is from the water, allowing you to view the fiords from nature’s level. 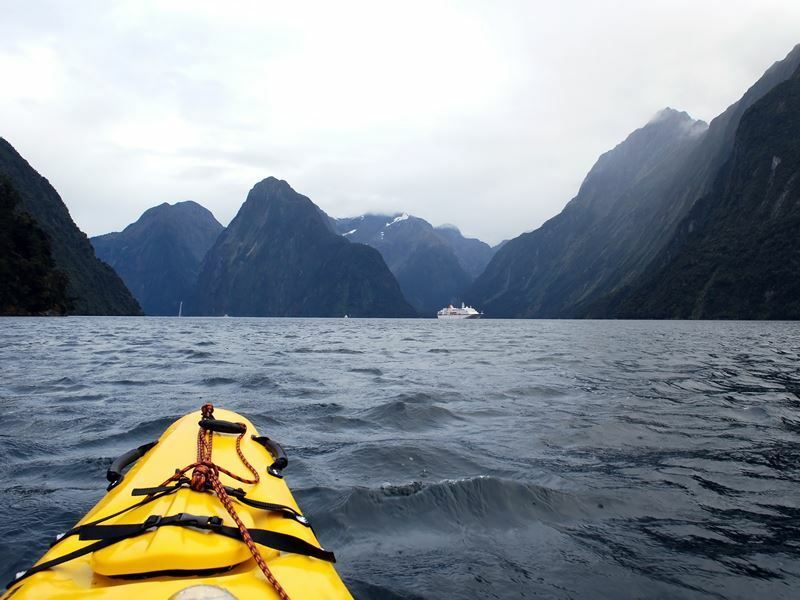 Fiordland hosts multiple areas for kayaking, including Doubtful Sound, Milford Sound and numerous lakes and rivers. Guided sea-kayaking trips are available on the Doubtful Sound and Milford Sound, as well as the lakes and rivers, or if you’re experienced, Lake Te Anau and Lake Manapouri offer kayaks for hire. Both Milford and Doubtful Sound must be explored via guided tour due to the challenging conditions. Rafting will allow you to get out and explore the park’s beautiful rivers. Packrafting is especially popular here, where you’ll be outfitted with a one-man inflatable boat that’s light enough to carry before floating down the river through the striking wilderness scenery. Jetboating in the park is an option too, though it’s more about exploring the scenery than a heart-pounding experience here. It can be enjoyed on both the Waiau River, which flows between Lake Te Anau and Lake Manapouri, and the Wairarahiri, the steepest navigable river in New Zealand. Either route will take your through lush rainforest and areas that can’t be easily accessed on foot or other modes of transport. You’ll even the chance to view a number of “Lord of the Rings” filming locations on the Waiau River, as it was used to depict the River Anduin in the trilogy. Diving in Fiordland is a surreal experience, with the underwater environment in the fiords considered one of the most unique and fascinating on Earth. In fact, Jacque Cousteau placed it in his own list of the very best diving destinations. While the water won’t exactly be warm, when dressed in a thick wet suit, you’ll be able to reap fantastic rewards that include the chance to see rare species, at relatively shallow depths. The fiords have the highest concentration of black coral trees on the planet, and due to the high amount of rainfall and the mountains that block the sunlight from the water, the red and white giant corals have migrated to shallower waters to provide ideal viewing for divers. In Milford Sound, divers can view all types of other species too, like sponges, tube worms, sea dragons, nudibranch and spiny dogsharks. As the New Zealand fur seal inhabits these waters, you may even meet one of the often playful creatures that are curious to find out where those bubbles are coming from. If you’d rather kick back and let someone else do all the work, there are a wide range of boat cruises offered that explore the park’s lakes and fiords, offering a relaxing way to view the jaw-dropping scenery, and learn about the flora, fauna, geology and history of the area through informative and entertaining commentary. 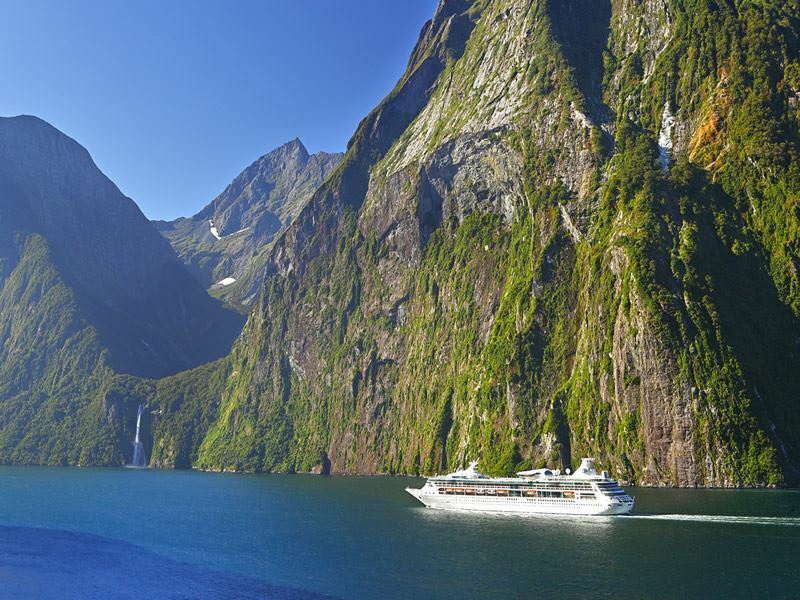 You can cruise along the calm waters of Milford Sound, between the sheer cliffs that were carved through ice erosion over thousands of years, catching a glimpse of the grand Mitre Peak and countless waterfalls that plummet into the depths below. 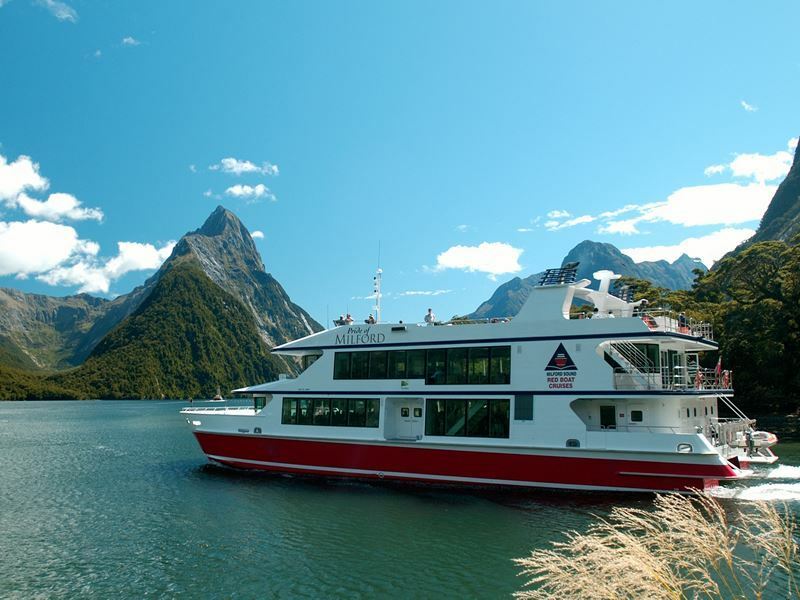 Cruises are available on Lake Te Anau, where you can take in the remote scenery of the South Fiord, and across tranquil Doubtful Sound, where dolphins, seals and penguins are frequently spotted. For a bird’s-eye perspective of the park’s remarkable grandeur, take a scenic flight. 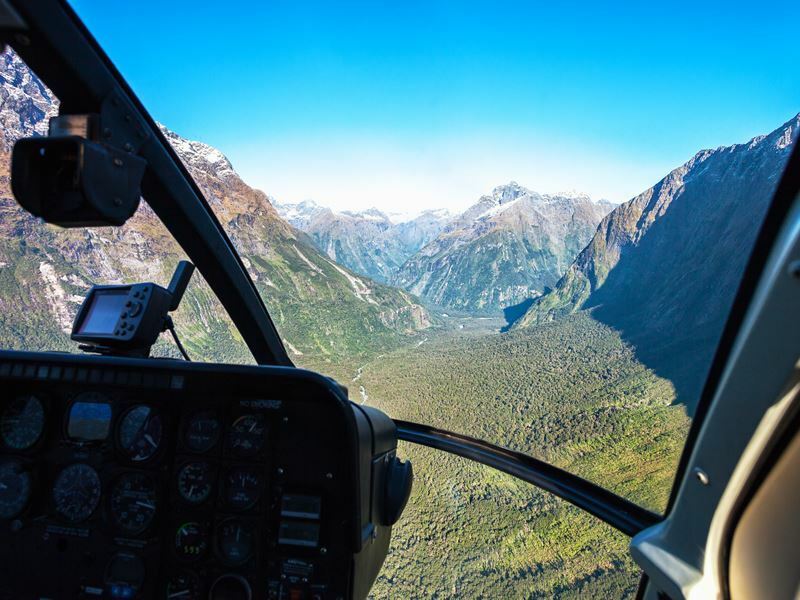 There may be no better way to experience this stunning, diverse landscape than by air, with the dazzling lakes, fiords and dramatic peaks all coming into view. There are a number of flight options, including floatplane helicopter and fixed wing, as well as special heli-hike adventures. Te Anau offers the majority of dining options in the park, however, you’ll find a number of dining facilities in Manapouri and Milford Sound as well. The options have expanded significantly in recent eyars, with a wide range to suit just about all tastes, including the chance to sample local delights, like New Zealand crayfish (lobster) and locally-farmed venison paired with fine New Zealand wine. This eatery is among the highest rated, located in the town of Te Anau and serving up national cuisine with a Chilean twist, including local seafood and game. 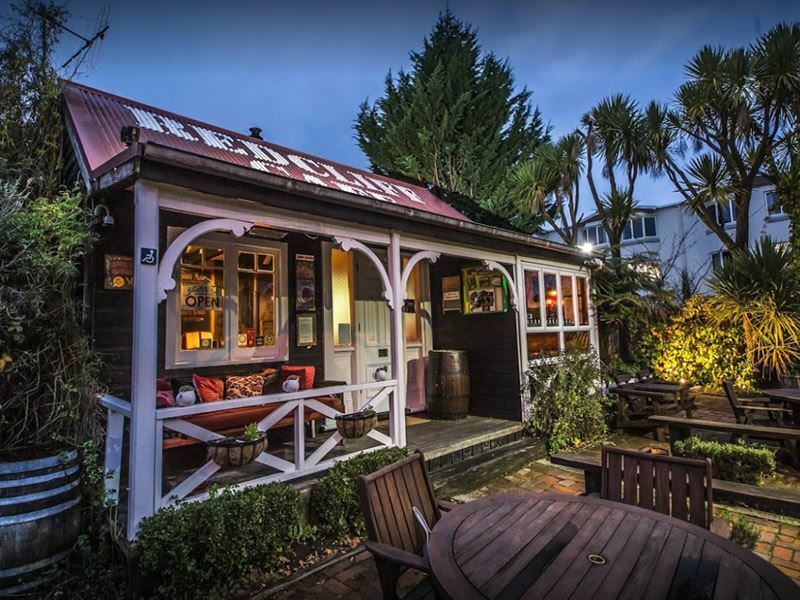 This popular restaurant in Te Anau offers casual fine dining in a unique early settlers’ cottage atmosphere with original dishes that feature fresh local produce paired with a range of local, Central Otago and New Zealand wine. It also features local memorabilia from Fiordland, Milford Sound, Te Anau and “Lord of the Rings,” in addition to hosting a bar that offers live music in the summer. This Manapouri restaurant offers magical views of Lake Manapouri with tasty dishes that include items like lamb shank, venison & black beer stew, chicken schnitzel and rib-eye steak. There are multiple accommodation options for just about every budget in Te Anau and Manapouri, from lodge hotels and motels to lodges, boutique properties and farm stays. Just remember to book well in advance during New Zealand’s summer months, particularly in February. 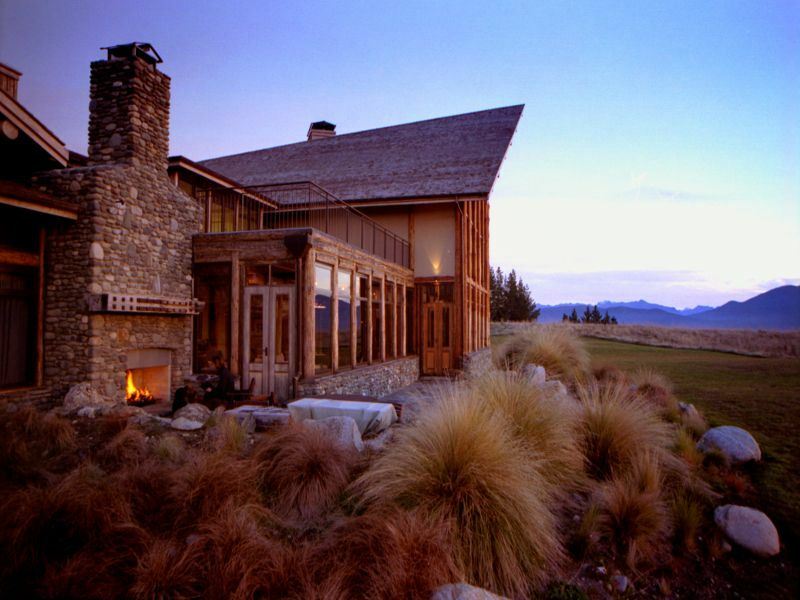 Located in Te Anau just a 10-minute walk from the lake, Fiordland Lodge is a luxurious wilderness lodge with an intimate, relaxed feel offering lodge rooms as well as log cabin accommodation, along with a restaurant with breathtaking views. Situated five minutes from the centre of Te Anau, Dock Bay Lodge is an adults-only property that offers a boutique experience with just five suites, one of which includes a private balcony that looks out to the lake, and another that boasts spectacular mountain views. The guest lounge features a large open log fire, a large plasma-screen TV, DVD player and surround sound system, while the living and dining area provides fabulous views of the golf course, lake and mountains. This B&B-style lodge sits on 20 acres of farmland on the Southern Scenic Route near Te Anau, and features rooms in the farmhouse as well as two cottages in the garden. It invites guests to enjoy the friendly farm animals as well as the large flower and vegetable garden.